Brittany Ebeling received funding from the Nanovic Institute for European Studies to present at the "The Challenge of the Refugee Crisis: Panacea or Pandemonium for Europe?" conference in Budapest, Hungary during the summer of 2017. She also received a 2016 Break Travel and Research Grant for Sophomores and Juniors to research migrants’ economic and social positioning in Spain and a 2016 R. Stephen and Ruth Barrett Family Grant to support her summer internship with the International Organization for Migration Headquarters, Governing Bodies Division in Geneva, Switzerland. Brittany recently received a Senior Break Travel & Research Grant on Intentional Living Communities in Denmark during the 2017 fall semester. Valued at $80,000, the scholarship is awarded each year to one American who exemplifies the core values of Sciences Po alumnus Michel David-Weill, namely, academic excellence, leadership, multiculturalism, tolerance, and high achievement. In applying for the award, she was assisted by the Flatley Center for Undergraduate Scholarly Engagement (CUSE), which promotes the intellectual development of Notre Dame undergraduates through research, creative endeavors, and the pursuit of fellowships. 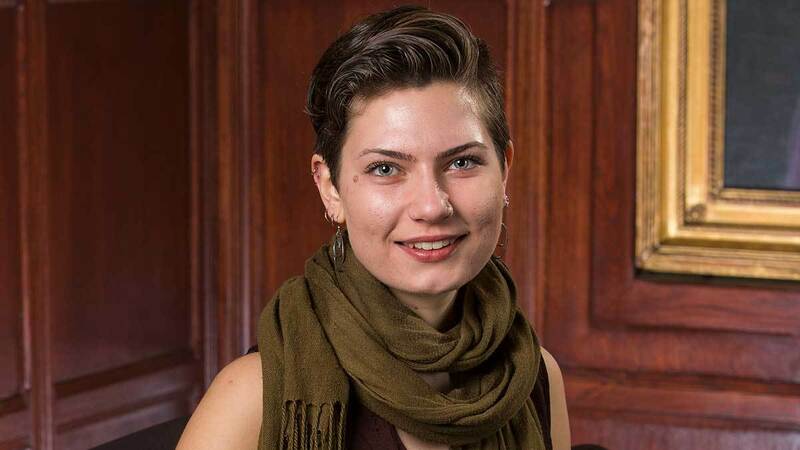 “Receiving this scholarship is not only an incredible honor, but also tasks me with the fulfillment of those goals which I expressed during my interview: working toward more inclusive local economies, promulgating co-housing and co-living models, and investing in sustainable city structures,” Ebeling said. Post-Sciences Po, Ebeling may pursue a Ph.D., live in the mountains and work on a farm, or start working to build co-living and intentional living communities that support local eating and community economies, she said.